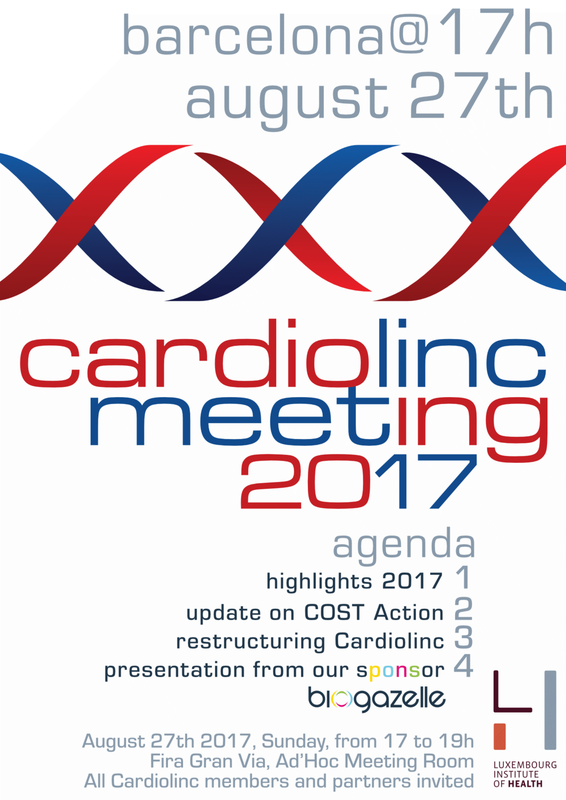 All Cardiolinc members and partners are invited to the Cardiolinc Annual Meeting 2017. It will be during the ESC congress in Barcelona, Fira Gran Via, Ad'Hoc Meeting Room. It is possible to attend the Cardiolinc Meeting free of charge even if you are not attending the ESC congress. Just let us know and confirm your presence at contact@cardiolinc.org.